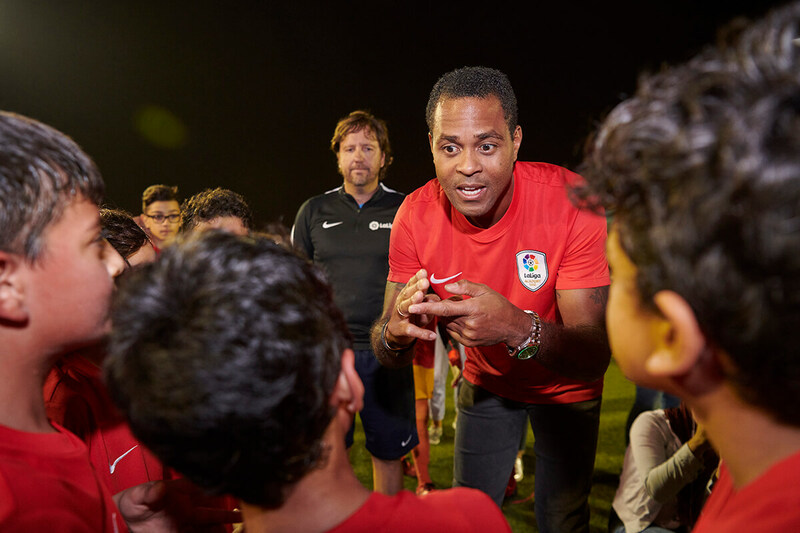 Dubai, UAE – January 30, 2019 - LaLiga Ambassador and Barcelona legend Patrick Kluivert, paid a visit yesterday to LaLiga Academy UAE’s training grounds in Dubai. Patrick Kluivert was part of a LaLiga delegation headed by Fernando Sanz, LaLiga Director General in MENA and Head of International Sports Projects. They were welcomed by over 200 budding LaLiga Academy footballers and their parents. Open to boys and girls from 4 to 18 years, LaLiga Academy, delivers the highest standard of Spanish football training, across six (6) locations in Dubai, Sharjah and Abu Dhabi, while providing a pathway to professional football careers as well as scholarships to top universities. For more information, please call +9714 392 6610 or +97155 509 9489 or visit ae.laligacademy.com. LaLiga Academy UAE, the only scouting academy of its kind, will elevate youth football to unprecedented professional levels. The Academy’s UEFA certified coaches deliver the highest standard of Spanish football training to youth across the UAE. Training focuses on football technique, skills and fitness as players develop, preparing them for competitive matches, while guiding them to improve their physical, emotional and mental strength. The Academy will uncover the UAE’s top talents who will be trained at standards that will enable them to be scouted to play professional football at national and international clubs and academies. 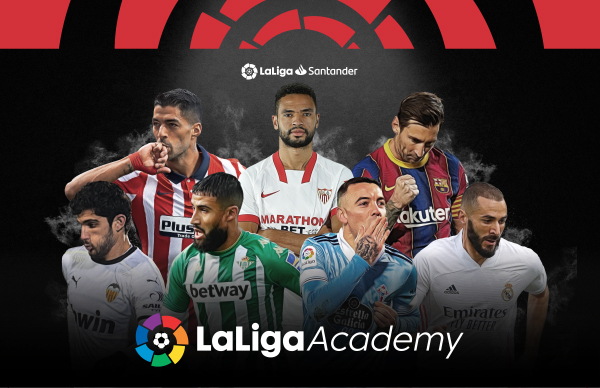 With LaLiga Academy, players also have the opportunity to obtain a football scholarship to study at the best universities.